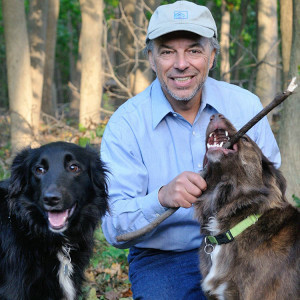 Author Carl Safina’s new book Beyond Words: What Animals Think and Feel explores what animals are thinking and feeling as they go about their lives. Advances in neuroscience and extensive field observations have helped Safina to engage with questions of consciousness, anthropomorphism, and whether emotions are the unique domain of humans. 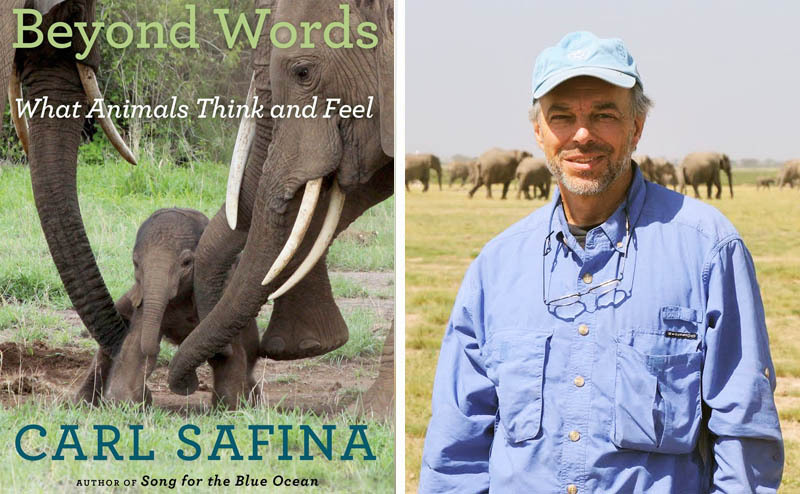 We spoke with Safina about the rich inner lives of nonhuman animals he describes in the book.  World Science Festival: What does the science of studying animal “emotion” involve? Safina: We now understand that all life evolves and that humans evolved from other creatures that were not human. Everything that we got—our origins, our cell structure, our skeletons, our brains and the components of our brains, the chemicals in our brains that create mood and motivation, and therefore our minds—we got from other creatures. Evolution has to use the parts that are in stock when it designs a new model, so our minds are largely built on the minds of others. The only thing we cannot do with other animals is interview and have complicated conversations with [them]—but even with human beings we always have to verify what is said by making sure the behavior matches the words. Otherwise, humans are capable of lying, and words are a less reliable way of understanding what’s going on with us than is our behavior. If I come on a job interview and tell you certain things about myself, you still want to check my references or look me up on the Internet to see if I really did teach those courses or write those books. So these are all ways that we can begin to understand that other creatures have minds and other creatures lead lives, and they know who they are and know what’s going on in a context that’s completely appropriate to them. People have a tremendous bias [against the idea of animals having emotions]. We have no hesitation saying that an animal that is eating is “hungry,” an animal that is drinking is “thirsty,” and an animal that has had a lot of exertion and is resting is “tired”—but then when they’re playing or acting affectionate, we say we have no idea what they could possibly be experiencing. WSF: Why do we have that bias? Safina: I think it’s so easy for us to accept that bias because it reinforces our two favorite stories. One, humans are absolutely special and categorically better than every other living thing; two, if other animals can’t think or feel anything, then we don’t have to worry about what they think or feel when we do anything we want to them. WSF: During your research for the book, did you find a lot of people who believe there’s no way to know what an animal is thinking or feeling? Safina: In writing the book, when I was with people who really know free-living animals and their lives, it’s not ever a question with them. They assume—as many pet lovers assume—that it’s obvious that these animals know who they are and where they are and which individuals are familiar to them and are their friends or rivals or enemies. It’s not ecologists and animal behaviorists who still carry this question with them—it’s journalists who got it from laboratory scientists a generation ago and repeat it over and over again in things they write as though this is a good way to sound professional. Laboratory scientists sometimes continue to ask these questions and assert that there is no way of knowing, but people who observe animals in the field don’t have that problem and confusion. 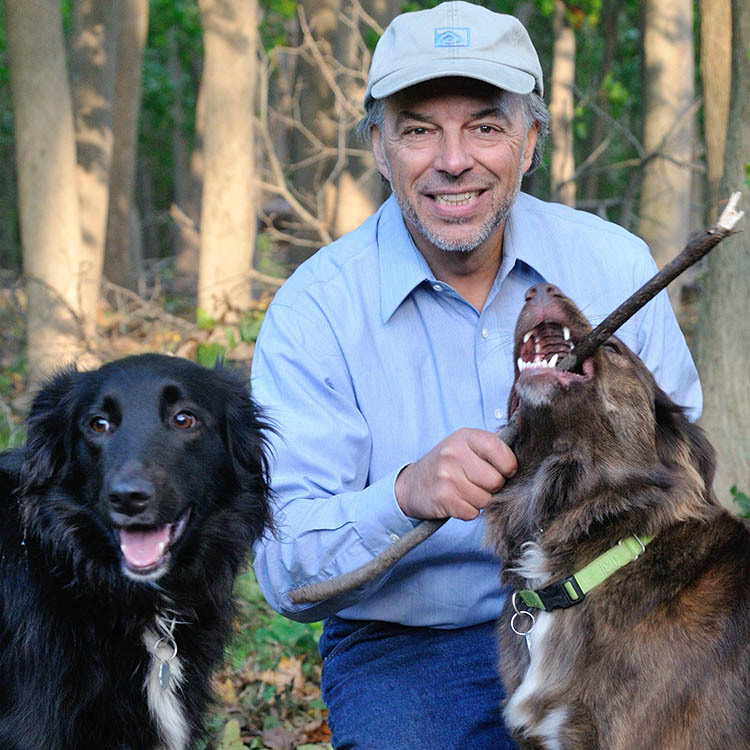 WSF: What about the debate about animal behavior among scientists from various fields? Safina: People who watch wild animals doing their actual lives that they evolved to do and being themselves in free-living state—they don’t really bother questioning whether the animal is conscious or self-aware. To them it’s really obvious, and we don’t have any debate about that. It’s mostly people who have never watched wild animals in any systematic way who seem confused about what you can and cannot infer—mostly people who are researchers in labs. They don’t really get to see the animal negotiate their actual environment. They put it in a maze, or present it with a puzzle, or something like that that has nothing to do with its actual life. For example, they tried to see if chimpanzees had “theory of mind,” and they presented chimpanzees with things like photos of a heater without a flame or a phonograph that was unplugged. The chimpanzee were supposed to chose the solution to the problem: a flame or a wall outlet. Any human being who thinks that is an appropriate test for a chimpanzee is out of their mind. Thomas Jefferson wouldn’t know what to do with an unplugged phonograph. If you read their literature, they are completely wrapped up in their concepts and the wafer thin counterarguments of their concepts. Like with “theory of mind,” people will talk about “theory theory”—I’m not even kidding. They just fail to see actual animals. Mostly lab people argue about who has self-awareness, who has “theory of mind”—most of them don’t even have the same definitions of these subjects. Field biologists … are much more interested in what animals do rather than whether [their behavior] fits into a definition. WSF: Are there any strong points of agreement on animal behavior between laboratory and field scientists? Safina: Only some lab scientists do things that are obviously not appropriate to the animal’s situation or the world. By a long shot, I don’t mean everybody. You can see many instances of people putting animals in lab environments and seeing a parrot figuring out situations that a dog or toddler couldn’t figure out. And that certain birds [in a lab situation], if they realize that another bird has watched them hide their food, will move their food; but if they don’t see any other birds watching them hide their food, they will leave their food in that place. These are lab experiments that show cognitive abilities. And there’s a lot of neuroscience—you can stimulate certain parts of the brain of a cat and induce immediate rage, and when people are in a rage the same parts of the brain are activated. I don’t mean to say you can’t learn anything in the lab—only to say there are some people who have not watched animals or created experiments to see what it is that they can do . WSF: Do you ever get accused of anthropomorphism? Safina: Yes, I guess so. Anthropomorphism is the best first guess we have about why an animals is doing something. They are similar to us, and they make sense of the world in similar ways to us, so the best first guess is to say “That animal is hunting,” or “That animal is playing,” or “That animal is hungry,” “That animal is looking for its mate.” It’s the best first guess, and you can just keep watching and see if that seems to be right. Like elephants, they’re playing with a baby, we say they’re playing and they seem happy. You can watch them for years—they are playing, they seem happy. But you see animals mating, you say they’re in love. But you watch them—the male leaves, there’s no pair bonding. So you say you’re wrong. So anthropomorphism is a good first guess—you just have to keep watching and seeing what they’re doing. WSF: What do you think is the strongest piece of evidence for animal cognition and emotion that you’ve encountered? Safina: When my dog rolls over on her back because she wants me to rub her belly, she knows I can provide a sensation of pleasure, that I’ve done this many times, that I know what she means when she rolls over, and that she can completely trust me. She’s anticipating pleasure, she’s not looking for a treat—we’re just friends, she just wants me to rub her belly. WSF: In your book, you wrote, “Elephants act joyful in the same situations that make us joyful: familiar ‘friends’ and family, lush food and drink.” What were some of the signs you observed of elephant joy and what was your process of inferring that they were happy? Safina: The simplest explanation of their repetitive motions is that it feels good. WSF: How do you define a “personality”? Safina: A personality is [the idea] that, faced with the exact same circumstances, we would behave and respond a little differently, and that our interaction with the rest of the world is a little different so that some are bolder, some are shyer, some are more apt to explore with more energy, some are more tentative. Those kinds of things—individual differences in behavior when faced with the identical circumstance. WSF: What do you think of the idea that some animals are more intelligent than others? For example, there is a common perception that dolphins are particularly intelligent among nonhuman animals. Safina: Some animals are more intelligent than others, but you have to understand what you mean by the word “intelligent.” People who think a lot about intelligence are not sure what intelligence is—they feel that there is not one thing that is intelligence, and we have to come up with a fairly arbitrary decision about a definition of intelligence. For example, with human beings, if I say to you, “Who is more intelligent: Henry Ford or Pablo Picasso?” Immediately you realize the question is, intelligent in what way? With comparing humans to animals, the word “intelligence” usually means ability to solve novel problems. Clearly some creatures are more able to solve novel problems than are others, and clearly some humans are more able than are other humans. Whether a dolphin is more intelligent than an elephant is not an easy question to answer, but whether a dolphin is more intelligent than a worm is a pretty easy question to answer. WSF: What is some of the evidence of dolphin or elephant intelligence? Safina: The detailed ways in which they perceive and process information, how they negotiate their environments that are very complex—they have to make lots of decisions about where and when to look for food and water, where to go when food is missing in certain places. The way they stay in social groups with particular distances. When they split up for days on end, they find each other. Many of them understand third-party relationships: If the baby screams, they will look to the mother of the baby because they know whose baby that is. In the Beyond Words excerpt below Safina examines how elephant families interact with one another, and what elephant ritual gestures mean. The ones we’re observing move into the marsh, crashing through the tall grass and sloshing into the cooling wetness. And if they don’t move? Sometimes assent comes quickly. The matriarch makes a long, soft rumble, raises her ears and flaps them against her neck and shoulders like a hand clap, and the family sets off as if this was the signal they had all been waiting for. Other times, discussions can go on for hours. The greeting is drawing all the individuals in, pooling their feelings and relationships. “Want to know whether elephants are good friends or close relatives?” Vicki asks rhetorically. “Watch their greetings.” The more intense and excited the greeting, the more important the relationships. During high social excitement, elephants often suddenly and dramatically grasp each other’s trunks, press their bodies against one another; there’s trumpeting, rumbles, trunks reached toward faces or into another’s mouth, ear flapping, tusk clicking—. You know “excited” when you see it. Elephants use well over one hundred ritual gestures to communicate in various contexts, with context helping convey the meaning. An ambivalent or apprehensive elephant may stand listening and watching, twisting the tip of their trunk back and forth; they may touch their own face, mouth, ear, trunk, apparently for reassurance, like a person touching their cheek or putting a hand to their chin. Near-constant calling emphasizes the family unit, reinforcing bonds, reconciling differences, defending associates, forming coalitions, coordinating movements, and maintaining contact. Elephants use their familiar mammalian larynx or “voice box” for making some calls, their trumpeting trunk for others. The JAs, a small family, have reason to be muted. “They used to be led by a very beautiful matriarch,” Vicki explains. “She died after getting speared. Their next matriarch died during the drought.” With their elders gone, the survivors seem diminished emotionally. For “who” animals, death matters most, in a sense, to those who survive. Most of the family is hidden behind the bushes. The close one now is Jamila. That next one, who’s just put a trunkful of grass on his head, is Jeremy, age nine. If you look just right of him, that female whose tusks touch at the tips is Jolene, their current matriarch. Next to her is Jean; she just lost a pregnancy. That female with the very upcurved tusks—that’s Jody. Jolene’s earned a reputation as a matriarch very sensitive to family needs, calm, quick to offer reassurance, leading by example. “They’re a very sweet family with each other, very cohesive, very affectionate. One of my favorite families,” Vicki says with evident fondness. Jolene must have just been talking with Jetta, the female stuffing her face in front of Jody now; they are both streaming from their temple glands. I am wondering why I can’t hear them. Elephant song spans ten octaves, from subsonic rumbles to trumpets, about 8 hertz to around 10,000 hertz. Studies with instruments that can shift very low sounds up into the range of human hearing show that if elephants are excited enough to be streaming from their temple glands, they’re also vocalizing. It’s just that, often, their rumbles, though loud, are too low-frequency for humans to hear. When you do hear an elephant rumbling, you’re just catching the top frequency of a vertical wall of sound they’re making, like hearing only the higher notes of a complex chord. To put it visually: if the sound were a house, you’d be hearing just the attic of a call that contains a finished basement. Elephants create different kinds of rumbles with varying sonic structures. Rumbles during tense encounters have different amplitude, frequency, and duration from rumbles uttered during peaceful amity. Saying simply that elephants rumble is a little like saying that humans laugh. We have different laughs for different contexts and intensities, from polite chuckles to sarcastic sneers to belly laughs. Same with rumbles: different kinds.